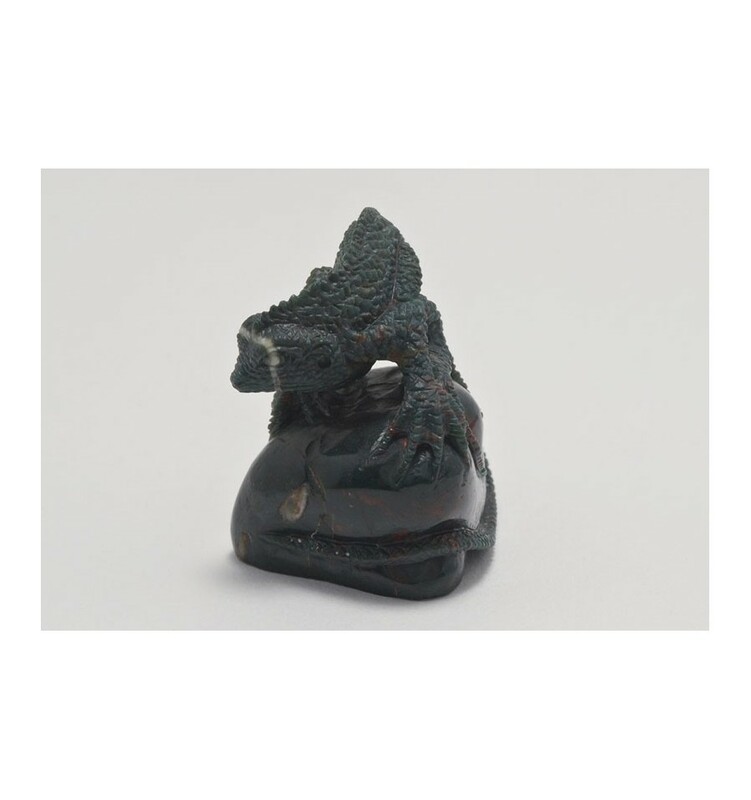 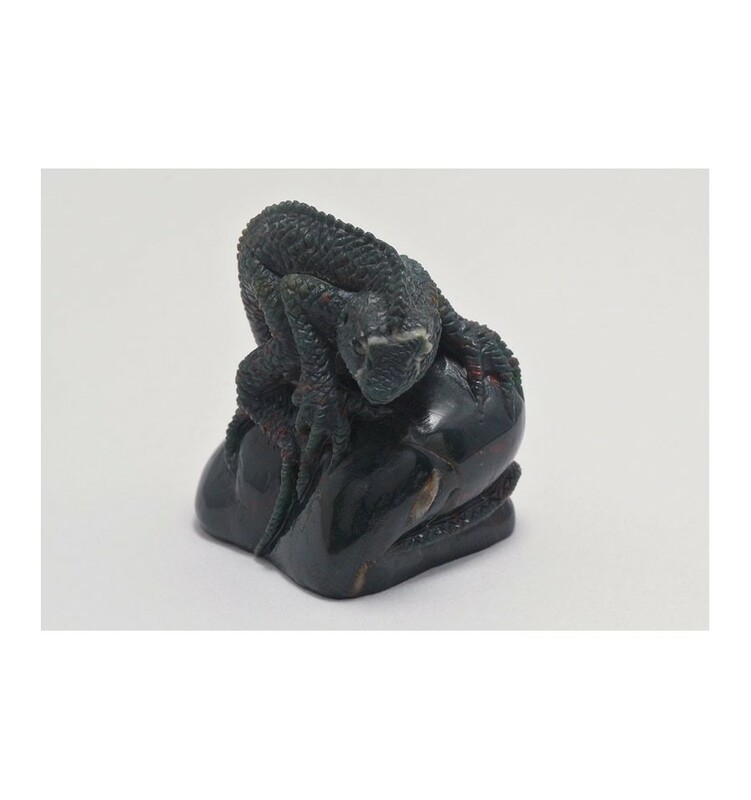 Superb sculpture of a lizard on a rock carved from genuine bloodstone. 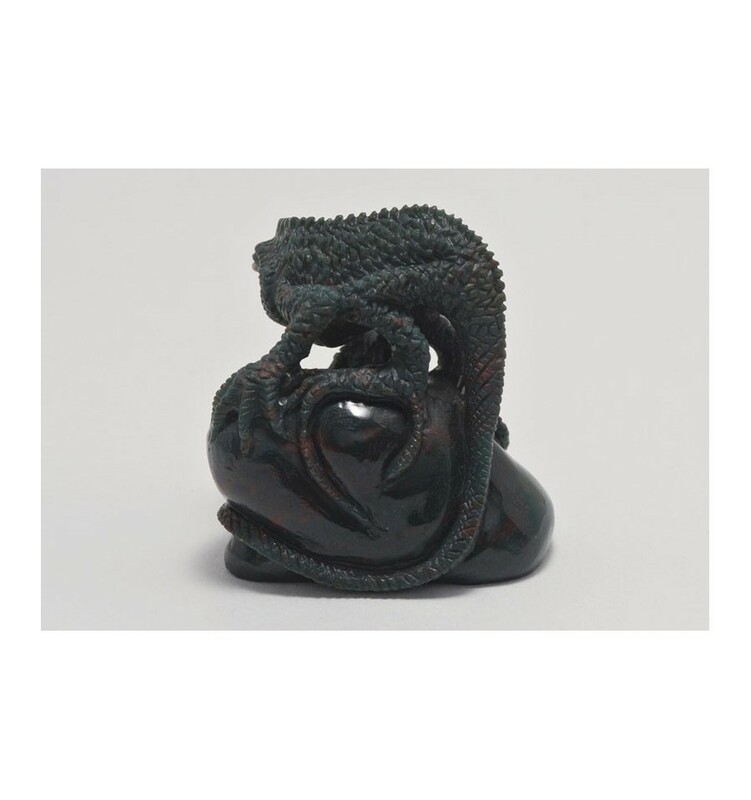 A timeless treasure. 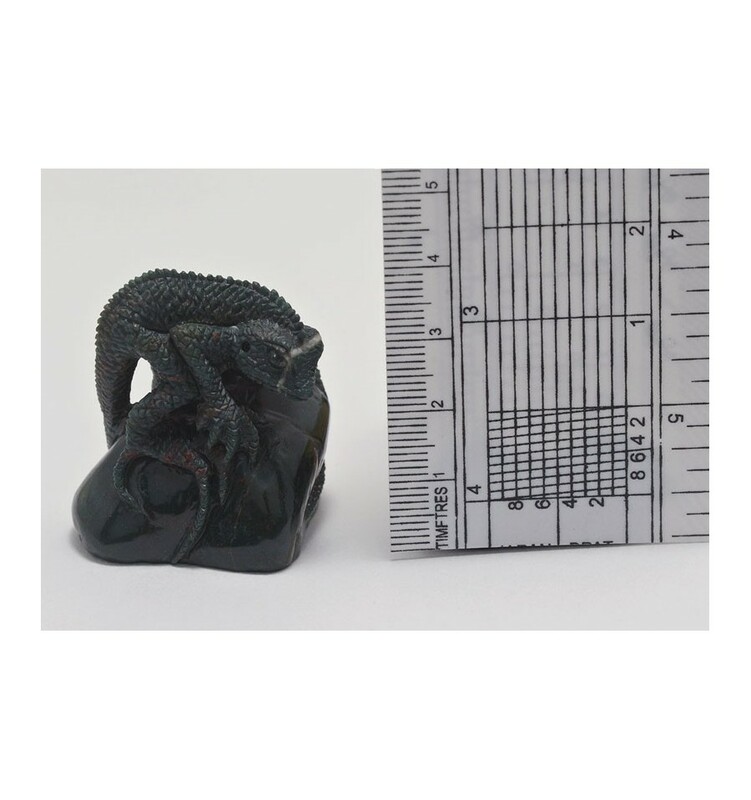 Size: 40 x 35 x 35 mm or 1 1/2" x 1 1/2" x 1 1/4"